Drawing from their backgrounds in fashion, advertising, the entertainment industries and social organizations (or NGOs), in 2011 four dynamic Paraguayan entrepreneurs cooked up Koga, a social business focused on growing and supporting the development of the entrepreneurial ecosystem in their home country. With the aim of incubating initiatives and projects that could create a social impact, they invited speakers from various walks of life to share positive ideas and concrete actions: that platform would later give birth to Gramo, Paraguay’s answer to TED talks. That first event organised by Camilo Guanes, Rodrigo Weiberlen. Fidu Gonzalez and Bruno Defelippe shared stories about projects, politics and people doing something good to build a better country; succinctly, a storytelling platform that inspires action. But, they had their work cut out for them given that Paraguay barely had any such projects to celebrate. After collaborating on Asunción’s first TEDx event in 2011 and receiving positive feedback, they realised a local element was missing and that Koga needed to pull out the stops and create an entrepreneurial ecosystem in Paraguay; the answer was Gramo. “I’ll never forget the feeling I had after coming out of the theatre after one of Gramo’s first events. It was something like ‘How did I not know that this was happening in my country? All these amazing people and stories!’. I fell in love with the project,” says Darmy Martínez Larroza, today Gramo’s project manager. One of the first Gramo Conversations to capture Paraguay’s attention was Roberto Cano’s Cómo Aprovechar el Bono Demográfico que Se Viene (How to make the most of the coming demographic bonus) in 2012. A 40-year period during which 67 percent of Paraguay’s population will be economically active and how to seriously prepare for this, given that it only comes around once in a country’s history. Given that that statistician had also revealed that 20 percent of Paraguayan children suffer from chronic malnutrition, his 14-minute talk provoked Paraguayans into seriously contemplating how to invest in human capital from birth. That led to an infant nutritional guarantee bill, which became Law 4698/12 that year, a direct way of addressing that bonus. Keeping matters local has also played its part in the Gramo success story; one work in progress involves a school teacher and his pupils. Darmy says: “In 2017, we received notice from [the aforementioned] El Profe Tony, a rurally based school teacher in the Concepción region of Paraguay who found Gramo online and fell in love with the project. As a homework assignment, he told students to watch a Gramo talk and to write an essay about it. Then he sent us the assignments; we were amazed by the reach. This is how the idea for regional Gramo experiences – known as was Gramo-i – emerged, taking Gramo out of the capital and inspiring people in their community; their own Gramo event takes place this May.” Teacher Tony later developed PreguntaPy, an app that asks and responds to cultural, historical and geographical questions about Paraguay for school children. There is more to Gramo than Paraguay, however. 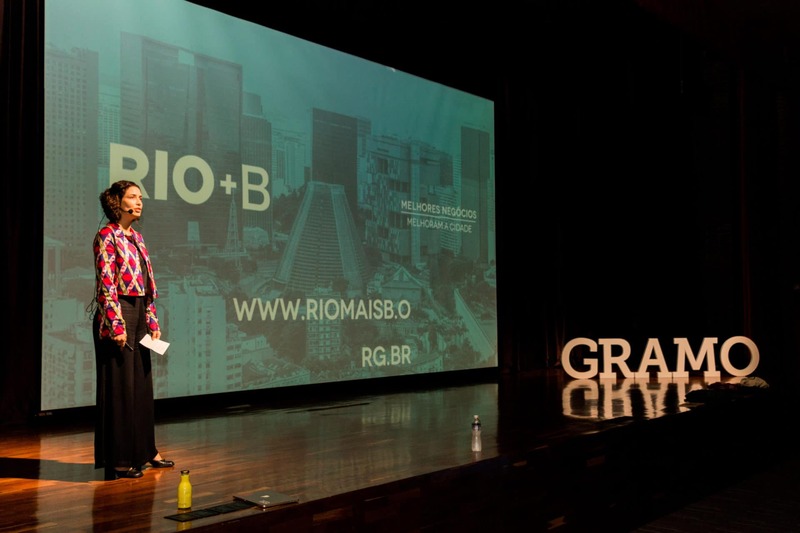 In the past two years, Gramo has spread its wings to start a dialogue around the continent, hosting two international events in Medellín and Washington DC in 2016 as well as in Brazil a year later supported by Sistema B’s Latin American Reunion, thanks to Gramo’s B Corp status. “In Colombia, we clicked that Gramo’s narrative wasn’t just Paraguayan but Latin American. For the first time, we had a completely new audience who could relate to and connect with the idea behind Gramo. 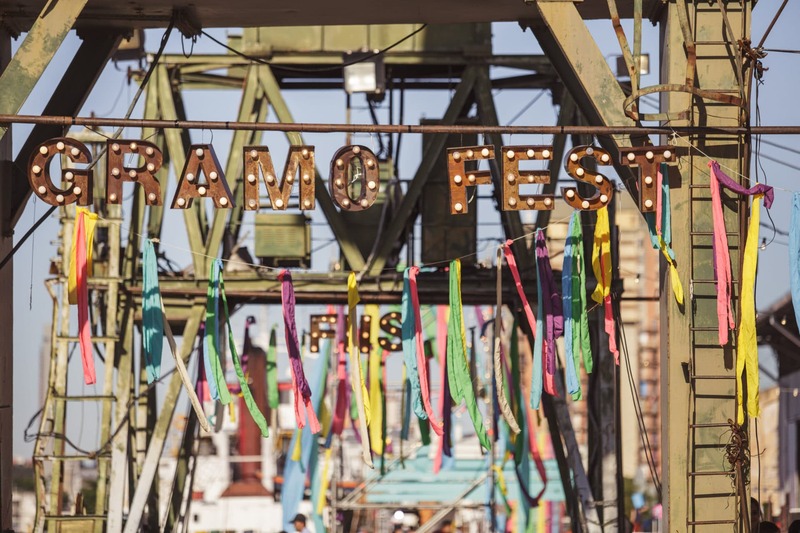 After existing for five years, Gramo is now entering the expansion phase: we want people and organisations to take over the platform and produce their own Gramo events, either in Paraguay or the region,” she adds. As for the remainder of 2018, the Gramo team plans to exploit its media. “We have tons of content and material, so a priority for this year is to use all of that and transform it in different formats, develop even more native content on our social media platforms,” says Darmy. AtlasAction: Watch some inspiring Gramo videos on their YouTube Channel or check out Gramo Editorial, a comprehensive roundup of the team’s highlights in Spanish (some with subtitles). Sorrel Moseley-Williams is a freelance journalist and sommelier based in Argentina, found on the pages of Monocle, The Guardian, Wine Enthusiast and Decanter. Tags: Awareness raising, Communication, Community, Culture, CultureFutures, Empathy, Empowerment, Entrepreneur, Government, Human Rights, Identity, Immigration, Information, Justice, Media, Platform, Social inequality, Social media.